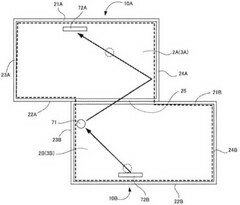 A patent that is over one-year old reveals what appears to be a Switch tablet without the controllers, but it can also show a way to play games on more than a single display, similar to the Sifteo Cubes "intelligent game system" which has been discontinued more than three years ago. Those who miss the Sifteo Cubes might soon be able to take the multi-display gaming paradigm to a whole new level thanks to Nintendo. Next week, Nintendo will launch the rather strange Labo games, which consist of "toy-con" controllers that the user must build out of cardboard. 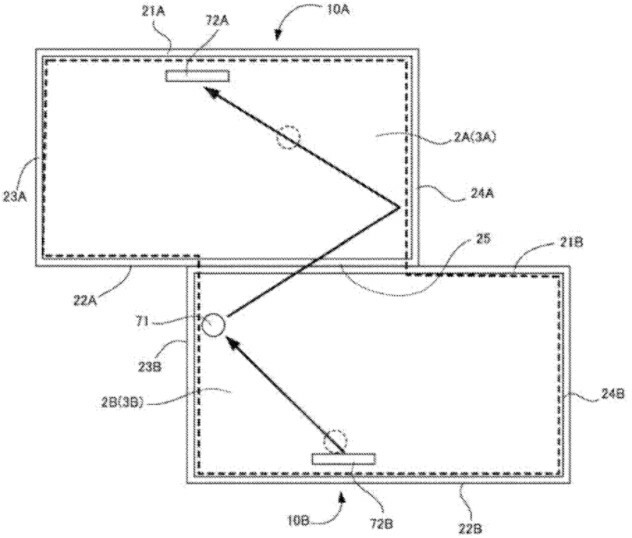 On the other hand, a patent dated April 2017 that describes a system similar to the Sifteo Cubes has recently surfaced online. The abstract of the patent simply names "Game system" mentions "a plurality of information processing apparatuses that are capable of communicating with each other." This system includes "at least" two displays/tablets and a control unit that controls the way they interact. The entire document has 42 pages and includes quite a few suggestive images. Those who never saw the Sifteo Cubes in action should take a look at them, although this interesting multi-display gaming setup is no longer being manufactured. Sifteo launched this interactive gaming platform in 2011 and was acquired by 3D Robotics in the summer of 2014, before being able to launch the second-generation product which they had announced at the end of August 2012. Back to Nintendo's patent, some claim that the existing Nintendo Switch could be used as described in it after nothing more than a software update. Obviously, nothing is official yet, but gaming on multiple tablets can be quite fun. Sadly, it would also be quite expensive to buy 3 or 4 Nintendo Switch tablets to do that — unless you bring in your friends with their tablets to help, of course.